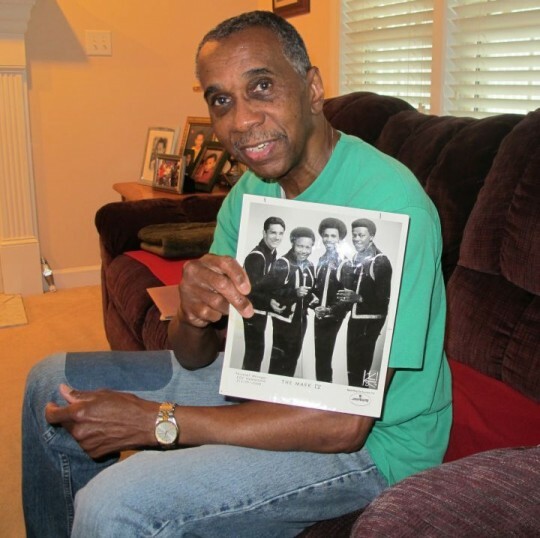 Wendell, North Carolina resident and vocalist Walter Moreland recently released a CD single that delves into a challenging time in his life. Entitled “Alone,” it’s nominally a pop ballad, something of a new direction for the long-time soul singer and former member of national ‘70s-era recording act Mark IV. More notably, and powerfully, it’s a document of his faith in one day reuniting with his late wife, Cynthia Moreland, who was tragically killed in Raleigh in 2006, just shy of five years ago. Moreland originally comes from Miami, Florida. He wasn’t very deep into music there; as a teenager, he “would just mess around singing” the doo-wop hits of the day for fun by himself. After high school, Moreland served two years in the army, including one in Korea, and then relocated to New York City, soon joining a singing group known as the New System. The New System were active in the region but apparently did not make any recordings: “We did a lot of practicing. We got uniforms. I don’t think we cut a record when I was with them. 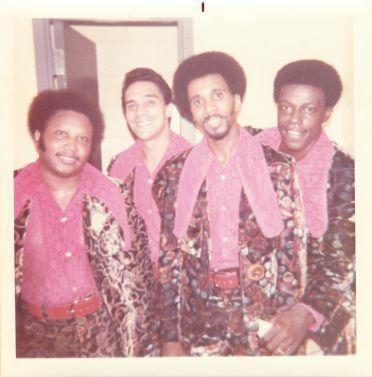 We did a lot of little gigs up in the mountains of New York, ski resorts….” Before the members moved in separate directions, the New System reached a high point in the form of some back-up work for Little Anthony & the Imperials. We were playing at the Inner City Club in Raleigh here. I don’t know, call it fate. I don’t know why we had to play here. I don’t know why she had to come because she was only like 16. We were playing at the Inner City Club, and we started singing, and there she was…standing right there in front of the stage, standing right there. I saw her, and I said “I got to talk to her,” and I started talking to her…I said “Can I have your phone number”? She said, “I don’t have a phone,” and I said “oh well, there’s another brush off.” And then she said, “But my neighbor has a phone.” And I lit up, I said “Sure, give me that.” That’s how it started. I started calling her. Every time we would go further south like Alabama, when we finished, I would stop here. Mark IV candid photo with Walter Moreland, second from right. When I sing now…if it wasn’t for my wife being killed, I wouldn’t be able to have sung this song. I wouldn’t be more in depth in church. I wouldn’t be going to the temple every week like I’m supposed to. In a way I think God opened my eyes to show me that…because I put Cynthia first. I put her first. He didn’t plan it, but he didn’t stop it. He just made me open my eyes. ‘You’ve got to humble yourself; be more humble. I’m first.’ If it wasn’t for her, I wouldn’t be doing the things that I’m doing now. Excerpts of “Alone” and “The Way” by Walter Moreland.